I recently got my hair did at Centro W Salon @ Gardens. 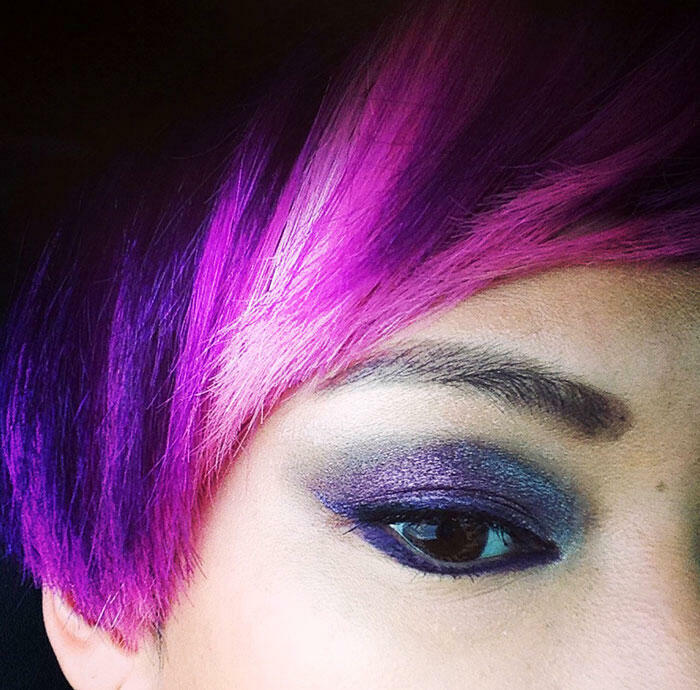 Celine Yap is my new Artistic Director and she’s got my hairstyles planned for the next few months…. i’m LOVING what she’s created for me the first time round and can’t wait to see the awesomeness that is to come. I didn’t even know what colour it was going to be till i looked up from my laptop and saw BRIGHT purple. I am getting closer to achieving my goal in being a my little pony. Forever. Celine managed to dye it in such a way that i can show more pink or more purple depending on where i part my hair. I daresay… this might well be one of the best hair colour works i’ve had done on me, to the point i don’t want to change it anytime soon! This is how my hair looks like in its natural state. Centro’s new salon is one that i’ve been itching to try since it reopened in the past year. Every time i describe it to friends, the word “lush” comes out of my mouth. I just can’t help it. 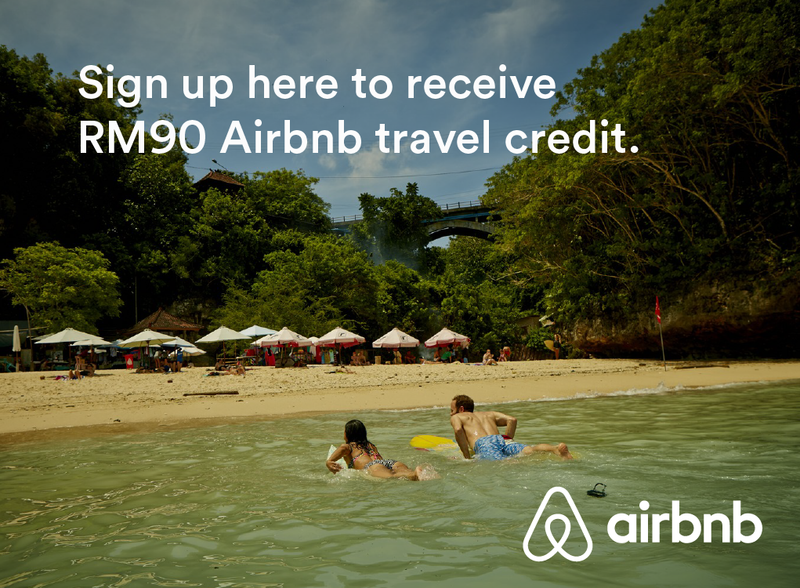 That place is just lush to the max. 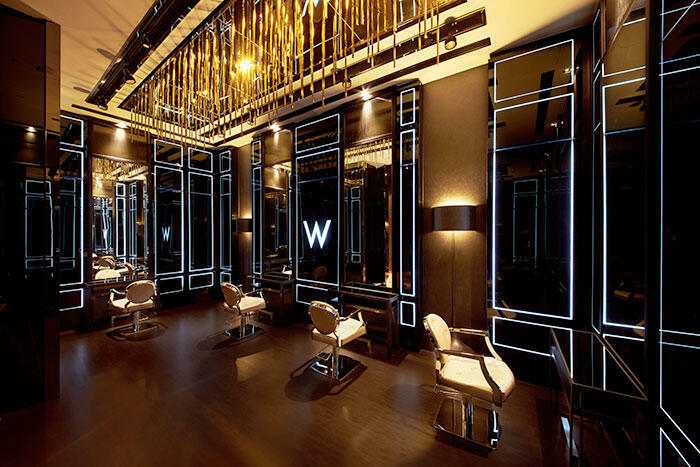 There’s a huge metal ‘W’ at its entrance so you can’t possibly miss it, and it leads you onto a unique golden carpet into a luxurious corridor filled with glimmering metal partitions and dim lights. The first time i walked in there last year, i felt like the only thing missing was a glass of champagne in my hand. It felt like a private lounge i wanted to hang around some more at! 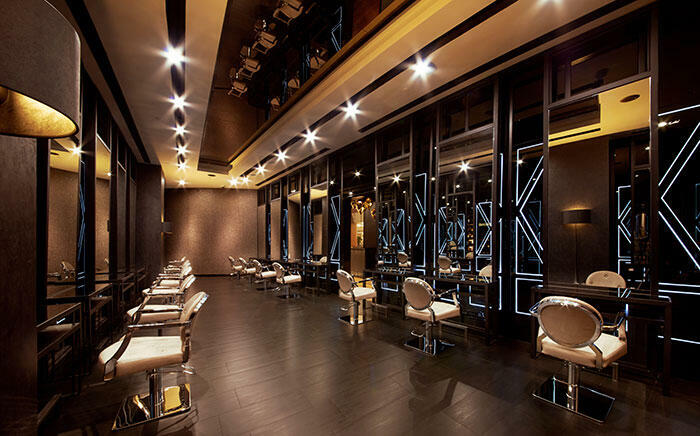 Judging from how it looks and the service i get there… this may well be the best hair salon in KL right now. 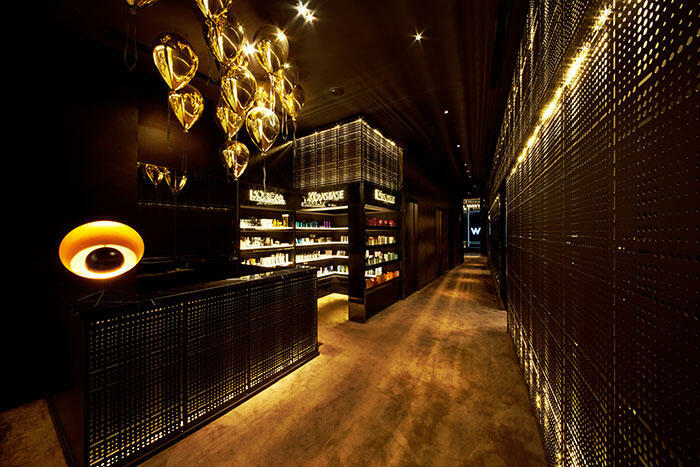 The salon is spread across a sprawling 2,600 sqf which covers a 14-seater salon with mirrored ceilings, a separate salon for Creative Director Kevin Woo, two VIP rooms, quick cut area, powder room, manicure+pedicure room and cloakroom. Above is picture of the dedicated area for customers of Creative Director Kevin Woo. Notice the golden rods suspended from the ceiling, and don’t forget to bask extra in the glow of the Flos floor lamps when you’re there. I think this must be the idyllic room for hair stylists to achieve calling their own. It’s what happens to you when you’re the winner of the L’Oreal Colour Trophy Award (2006) and have other accolades like Best Hair Makeover 2013 (Malaysian Women’s Weekly) and Best Hair Stylist (Judge’s Pick, Harper’s Bazaar Hair Award 2014) under your belt. 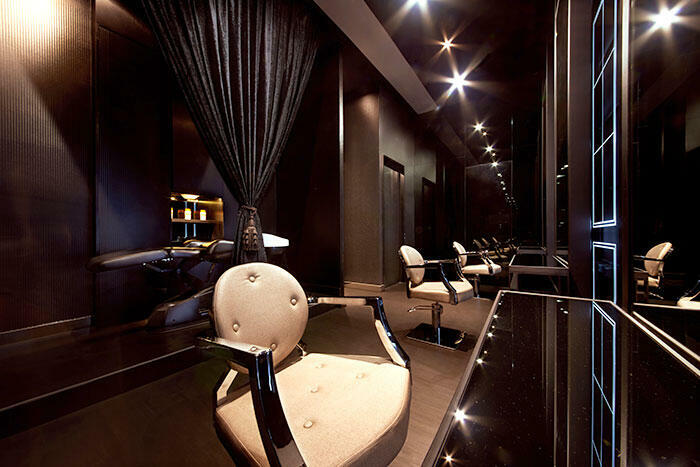 One of the two VIP rooms; with light-infused French door moldings, black tinted mirrors, and Takara Belmont’s signature Yume chair equipped with swivel massages and a full 180 degree recline. NOW will you say LUSH with me?